Information about this Hong Kong company appears thin on the ground – further details would be gratefully received. Stephen Davies suggests that Marty in HK was only ever a shipping company office. Following the acquisition of northern Indochina by France, he and his business partner, [Edouard] Jules d’Abbadie [Born in Tonnay-Charente, France on 18 Jun 1853 to Antoine Edouard D Abbadie and Johanne Juliane Böhlke. Edouard Jules married Clementine Guerrier. He passed away in 1904 in Haiphong, Vietnam] in September 1886, founded the shipping company Marty et d’Abbadie in the port of Haiphong. 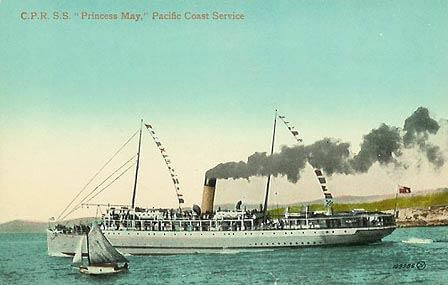 As one of the pioneers their firm soon became one of the most important French businesses in the Far East, operating the Subsidised River Shipping Service along the Tonkin coast and on the Red River, in addition to a regular ocean going shipping service between Haiphong and Hong Kong with occasional stopovers at Pakhoi, Hoihow, and Kwang-chow-wan.